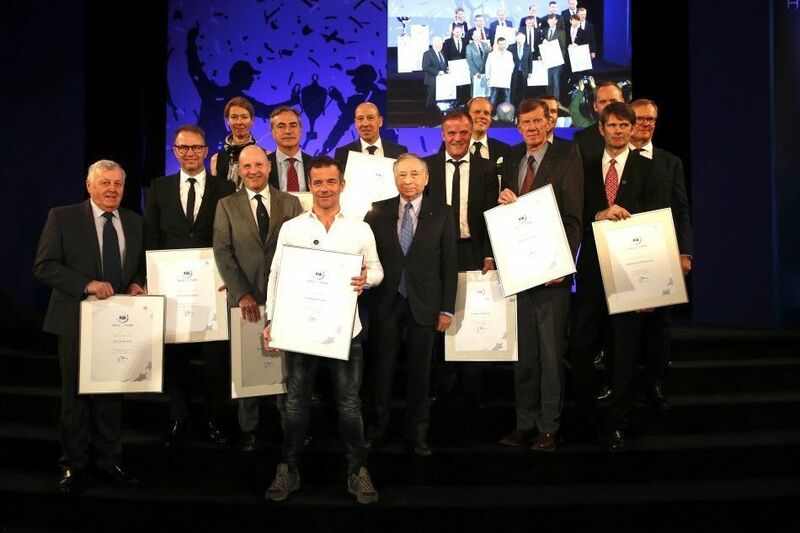 The FIA inducted 17 World Rally Championship (WRC) champions in the Hall of Fame in a glittering event in Paris with president Jean Todt in attendance. Last year, the FIA inaugurated the motor racing Hall of Fame with the induction of the 33 Formula 1 world champions and this year, they decided to add all of the 17 WRC title holders with FIA president Todt doing the honours. The WRC drivers’ championship started officially from 1979, even though the series ran since 1973. No driver was awarded a title from 1973 until 1976 with the winners of 1977 and 1978 championship handed a ‘FIA Cup’. The first driver to be crowned and inducted in the Hall of Fame was the 1979 WRC champion Bjorn Waldegaard (Sweden). He was followed by two-time champion Walter Rohrl (Germany), who won the titles in 1980 and 1982 respectively. The other champions in the 1980s included Ari Vatanen (Finland, 1981), Hannu Mikkola (Finland, 1983), Stig Blomqvist (Sweden, 1984), Timo Salonen (Finland, 1985), Juha Kankkunen (Finland, 1986-1987, 1991 & 1993) and Miki Biasion (Italy, 1988-1989). The champions in the 1990s had Carlos Sainz (Spain, 1990 & 1992), Didie Auriol (France, 1994), Colin McRae (UK, 1995) and Tommi Makinen (Finland, 1996-1999) – with Kankkunen already mentioned above. Finally, the 2000s section included Marcus Gronholm (Finland, 2000 & 2002), Richard Burns (UK, 2001), Petter Solberg (Norway, 2003), Sebastien Loeb (France, 2004-2012) and Sebastien Ogier (France, 2013-2018). Nine of the 17 champions made it to the event, who were Rohrl, Vatanen, Biasion, Sainz, Auriol, Makinen, Gronholm, Solberg and Loeb. Waldegaard was represented by his son Mathias, with Mikkola by his son Juha, McRae by his father Jimmy, Burns by his sister Jo. “The FIA Hall of Fame recognises the successes of the champions in our World Championships,” said Todt. “With the World Rally Champions now joining the Formula One World Champions in the FIA Hall of Fame, it adds another storyboard that documents a fascinating journey through time, both with the drivers, co-drivers and their machinery. “To see the progress we have made in rally safety over the decades is particularly pleasing and one of the highlights in the on-going evolution of the Championship. When you see the cars from so many eras, the developments in technology are also clear to see. “The stars of the World Rally Championship have so many captivating stories to tell which I’m sure will not only fascinate the rally fans but hopefully inspire future generations,” the Frenchman added. The event also had cars like Group 4 Alpine A110, Citroen Xsara WRC, Toyota Corolla WRC, Group 4 Lancia Stratos HF, Peugeot 205 T16 and Volkswagen Polo R WRC present in the gallery for the attendees to have a look at them. Ready and happy to meet all my very good friends #WRCLegends in Paris today, will be a pleasure to chat and remember old battles. Good moment as well to remember those who are not anymore with us. Thanks @fia and our president @JeanTodt. Congratulations for your induction into the @fia FIA Hall of Fame! I feel very proud of what you have accomplished, not only as the chairman of @TOYOTA_GR WRT, but also just as a rally fan in Japan.